Type: Commission, with OMA Rotterdam. Size: 160,000 M2 / 1,7 Mill SF. 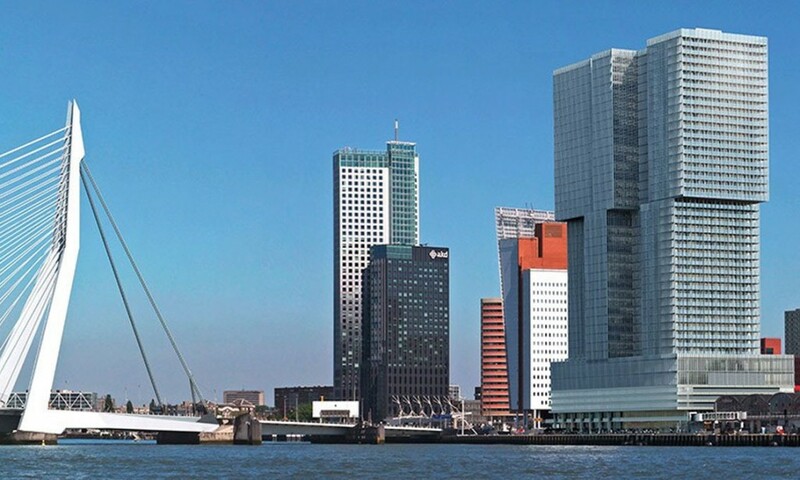 De Rotterdam is named after the Holland America Line ship that transported thousands of European immigrants from Wilhelmina pier in Rotterdam to the US. 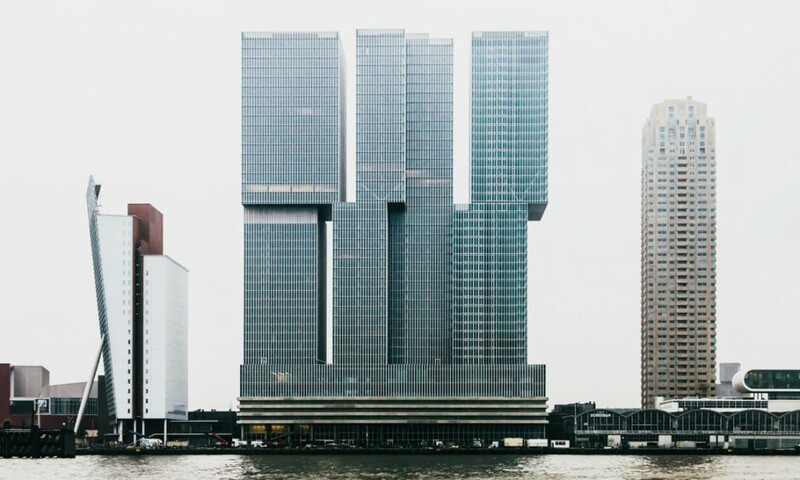 The building is designed as a vertical city with individual volumes protruding and expanding to create a dynamic and iconic building outline. 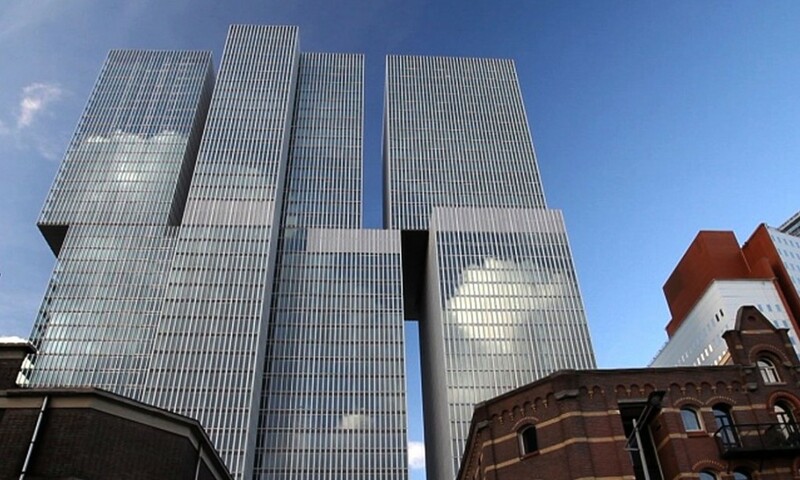 De Rotterdam combines three interconnected towers with a total of 160,000 M2, in a hybrid design where the architecture of the building becomes an expression of modern density and diversity. 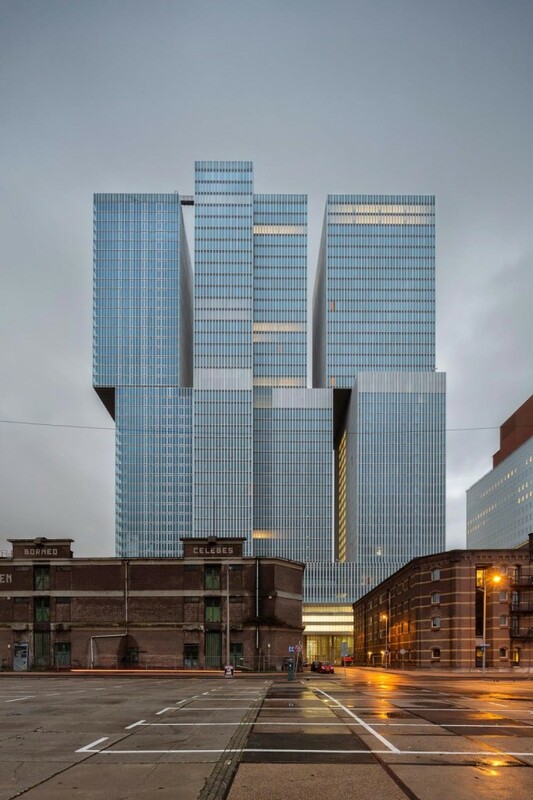 At 150 Meters, the building is the tallest building in the Netherlands and is designed as a multifunctional piece of architecture. 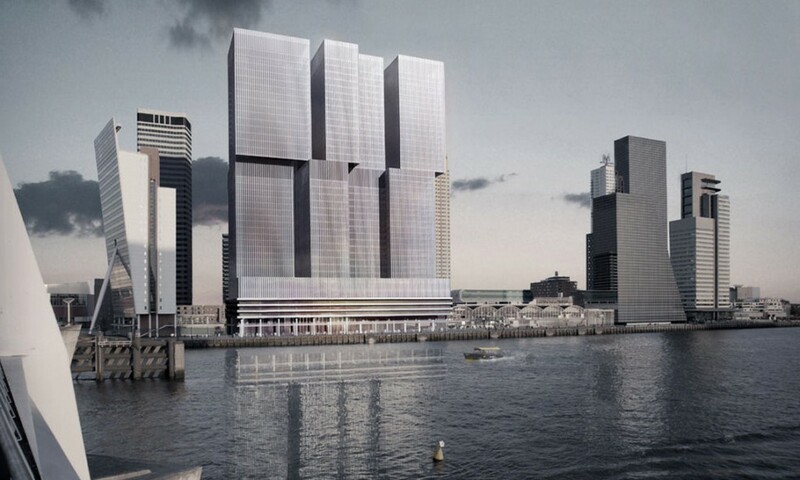 The program of De Rotterdam includes 72,000 M2 of office area, 240 residential apartments occupying 35,000 M2 and a hotel with an area of 19,000 M2. 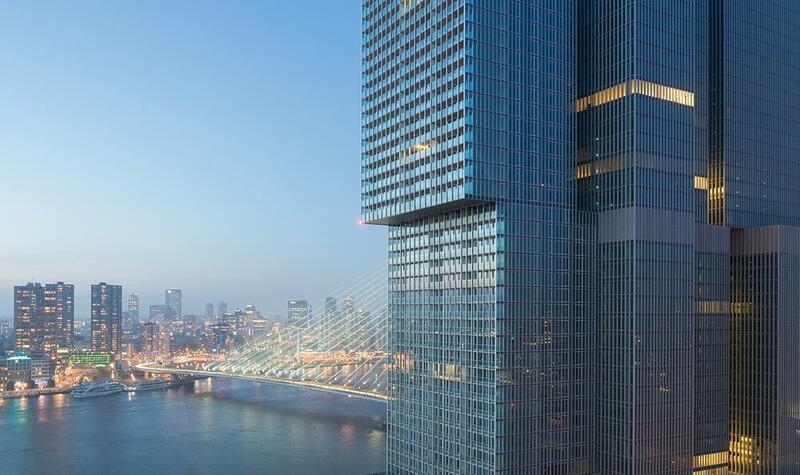 The building is located next to the Erasmus Bridge on the banks of the River Maas, De Rotterdam is part of the continuous redevelopment undertaken at the old harbour district of Wilhelmina Pier. 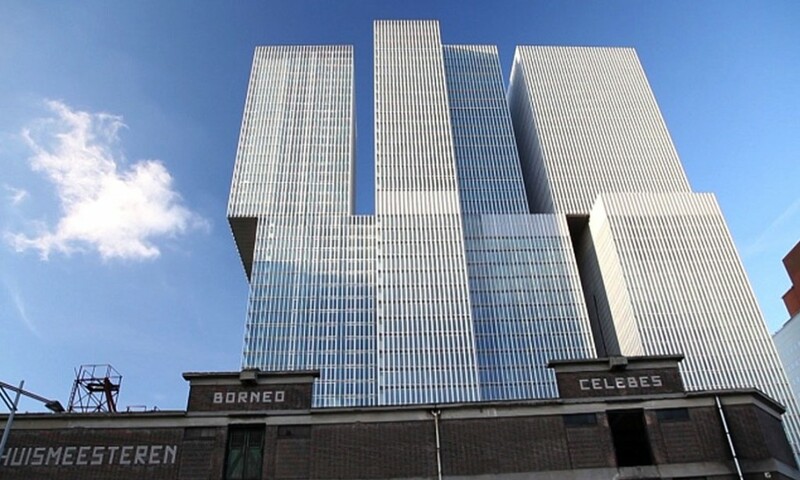 The construction of the building was undertaken by MAB Development, OVG Project Development and the Office of the Metropolitan Architecture (OMA) and started in 2009 and is now completed.